Come 7 p.m., there’s usually a lineup for baby back ribs, open-fire rotisserie chicken and icy cocktails at Smokey Joe’s, the alfresco restaurant across from the Playa Linda Beach Resort in Aruba’s high-rise hotel area. This fruity and creamy frozen drink is one of the restaurant and bar’s bestsellers. 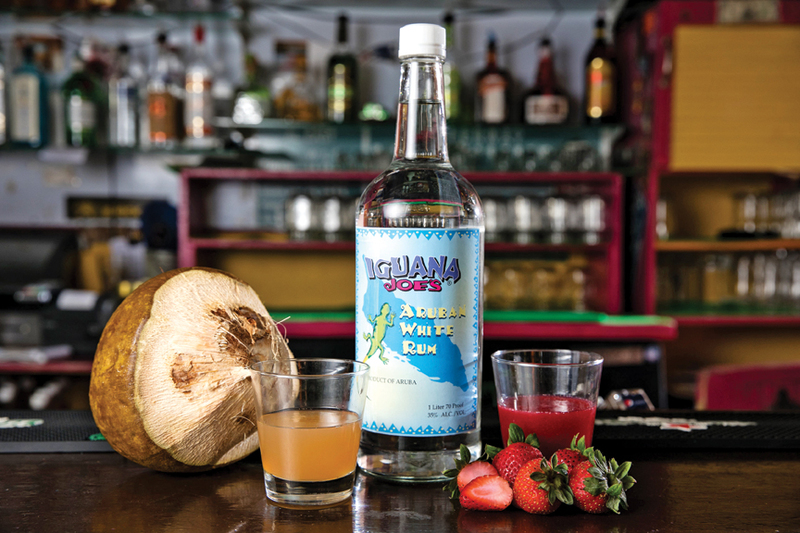 Some days, charismatic bartender Elijah Gomes goes through more than a gallon of crushed strawberries and coconut cream, which he blends with ice and a deceptively large amount of white rum. What he likes about this cocktail is that it’s sweet like dessert – he’s a self-admitted strawberry fanatic – but still refreshing because of the slushiness and the fruit. “People come in flip-flops straight from the beach and it cools them down,” he says. Blend the coconut cream, strawberries and syrup. Set some aside if you want to make a layered drink. Leave the rest in the blender. Add the rum and ice to the blender and blend until smooth. Pour into a 500 ml Mason jar or other glass, layering with the reserved strawberry purée as desired. Personality: For a bartender, your personality can be just as important as your ability to make a great drink. Gomes has both covered. “I like interacting with people. As you can see, I’m a very chatty person. Sometimes the manager has to tell me to focus,” he says, jokingly. Flair: We can’t all be like Tom Cruise in Cocktail, throwing bottles of rum, vodka and gin into the air, the contents of which miraculously end up in beautiful salt- and sugar-rimmed glasses. But Gomes would like to get there. What’s holding him back is the learning curve. “I’m afraid to break a bottle and have to pay!” he says, laughing. So for now, he’s practicing what he calls “beginner flair.” No throwing, but lots of entertainment. “Blend the cocktail that extra second longer to make it smoother,” says Gomes. You can add thin layers of strawberry-coconut purée between the icy, blended layers of the cocktail itself to create a lava lamp look. “It seems like you’re drinking art,” he says.